I LOVE your card, Cindy! This Vintage Sewing Machine is so GREAT and with outlining the machine with markers, once glued is a super idea to give an extra dimension to the sewing machine! Super cute Cindy!! 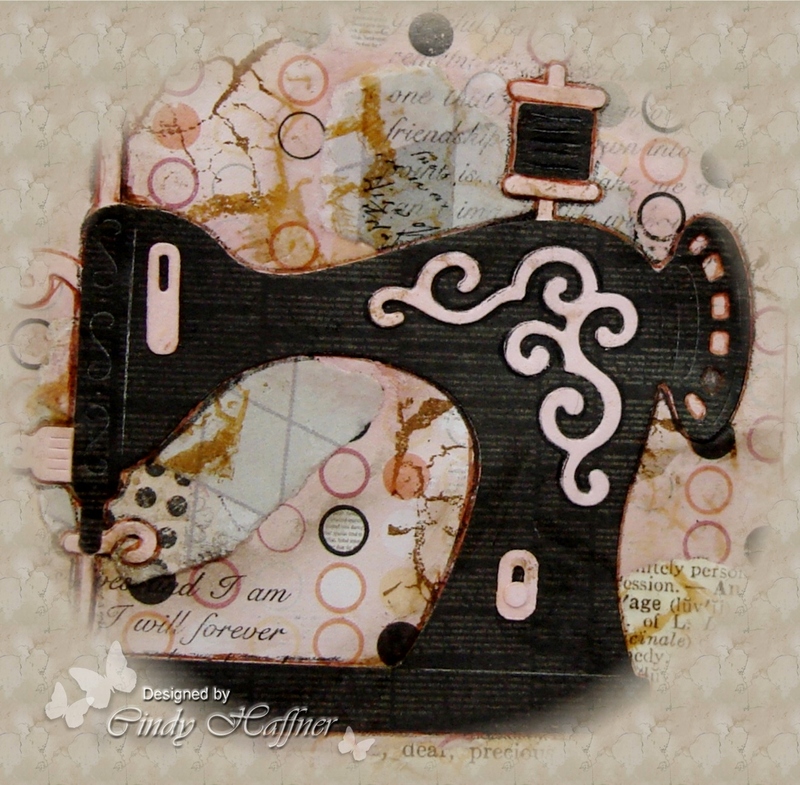 Love the sewing machine!!! This has a wonderful vintage looks to it. How pretty. This die cut is really gorgeous and I like it how you use it like focal point on your card.